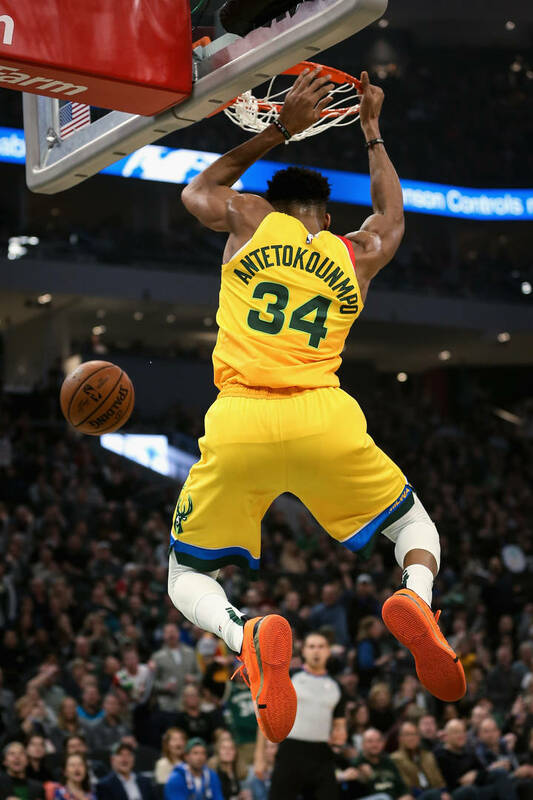 Giannis Antetokoumpo has built a name for himself this year by being one of the best players in the NBA. He has led the Milwaukee Bucks to an unlikely first-place finish in the entire league and is looking to bring the team some glory in the playoffs. Antetokoumpo is known for being a hungry, yet humble player who doesn't like to bring too much attention to himself. With this in mind, it's no surprise that he wouldn't want to be in a big budget Hollywood film alongside LeBron James. In an interview with ESPN's Malika Andrews, the Greek Freak explained that he was asked to be in Space Jam 2 this summer, although it simply isn't for him. It's obvious that the Bucks star would rather remain lowkey. He even said at the All-Star game that he'd rather stay in a calm city like Milwaukee then go play in Los Angeles. This is great news for Bucks fans who don't want to see such an incredible player leave. Last week, Bucks GM Jon Horst confirmed that the Bucks are already working on Giannis' next contract.